Thanks to Quirk Books, Gabe had the awesome opportunity to speak with Jon Morris, for an awesome interview about a few of Jon’s books!! 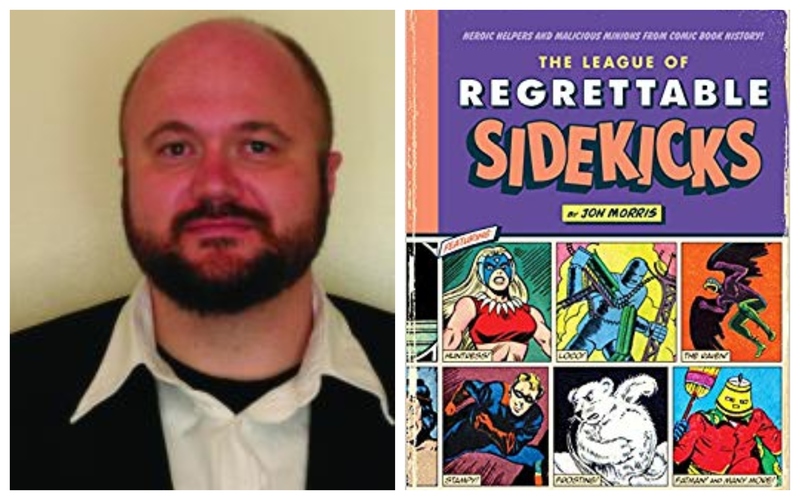 The focus was on The League of Regrettable Sidekicks, but Jon did also put together The Legion of Regrettable Supervillains, and The League of Regrettable Superheroes, all of which we get to ask about!! Jon tells us all about the selection process of all of these books, and how many they all start with! Speaking of the Regrettable Sidekicks, we also get to learn about Jon’s favorite group, that he included in the book. He wanted to try and get it through, that “Regrettable” is actually not a bad thing for these sidekicks, villains, and superheroes, but it speaks more to the regrettable circumstances that they entered into existence! This is a really funny interview, that you won’t want to miss!